I was selected in the 2017 lottery for sponsoring my parents and I filed the application in August 2017. In January 2018 I received a letter from the CIC and that they have found me eligible to sponsor my parents and that they have forwarded the application to Delhi office for processing. 1. Yes there will be a medical. The process won't be much different than, when you came here as a PR. Pretty much the same steps & documents & tests they will have to go through. The only difference here is you are sponsoring them. so for at least the next 10 years they can't go on welfare or anything & have to depend upon you financially. They can't even get OAS & GIS - they have to be 65 & spend 10 years in Canada before they get OAS & GIS. 2. Parent's PR sponsorship, they are still working on files from January 2014 ..LOL. Getting them in on a regular Visitor's visa or Super Visa might be much faster. Although I am not sure how that will affect their PR sponsorship. Not sure if you can apply for the Super Visa and PR at the same time simultaneously. On a sponsored PR, I don't see them coming here for at least another 2-3 years. Mitron has answered all. 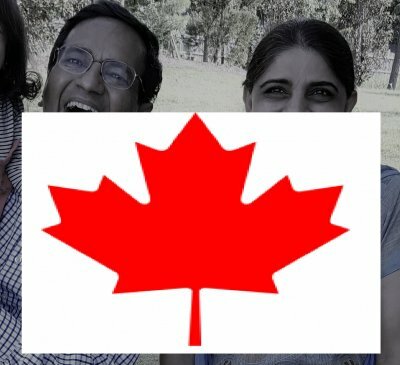 They can come here on a Visit visa/Super Visa while their sponsorship is receiving"attention"
If they can support themselves financially while under your sponsorship, good for both; else they fall back on you for support. Thanks Mitron and Many for your comments. Since they have capped the number of applicants under the lottery system, I mistakenly thought that they might have made the processing faster. They might have capped the number of applicants, but they still have a huge back log which they first have to get rid off, before they come to the 2018 applicants. Plus Trudeau is busy bringing Syrian refugees in this country , 40,000 have been brought so far..more yet to come. Although the initial target was only 25,000 Syrian Refugees. IRCC is now issuing new invitations to Prospective Applicants to apply under Parents and Grandparents Program, to bring in their Parents/Grand Parents. Interested sponsors have 60 days from the date of invitation to submit complete applications into the system. It appears from the above posting that they have caught up with the processing of all of the previous applicants and those who have filled in and submitted a Fully COMPLETED Application will get into Canada soon. HOW SOON? It takes about Nine Months to process and get through the Health Check etc., and it could be easily pegged to an years delay as it currently stands. Am I going over their heads to announce this? NO it is my own experience and the calculations are based upon the time taken after submission. Those who have other complications with Police Systems and health etc., can still expect to get in soon after that. You don't have to pay and join. It is FREE to monitor.